The Valley Heights girls and boys basketball teams both claim 5th place in the Twin Valley League Tournament. Due to weather, a tournament that would usually stretch an entire week was smashed into a four day period. Both teams were forced to play a game each night, Monday-Thursday. The varsity boys also had a highly successful tournament performance, going 3-1 over the four day stretch. Monday they easily took down the Wetmore Cardinals 60-38. Unfortunately, Tuesday evening they fell to the Hanover Wildcats. Wednesday afternoon, the Mustangs stepped on to the hardwood once again and faced off against Washington. The last time the Mustangs contended with the Tigers, it was close up until the final seconds of the game. The varsity boys showed up, ready to compete, and they sealed a victory over the Tigers on the third day of the tournament. Last Thursday, the Mustang Boys wrapped up TVL with a close back and forth win over Axtell. This secured a 5th place spot for them in the league. The Mustang basketball teams will face some tough competition over the next couple of weeks, leading in to post-season play. 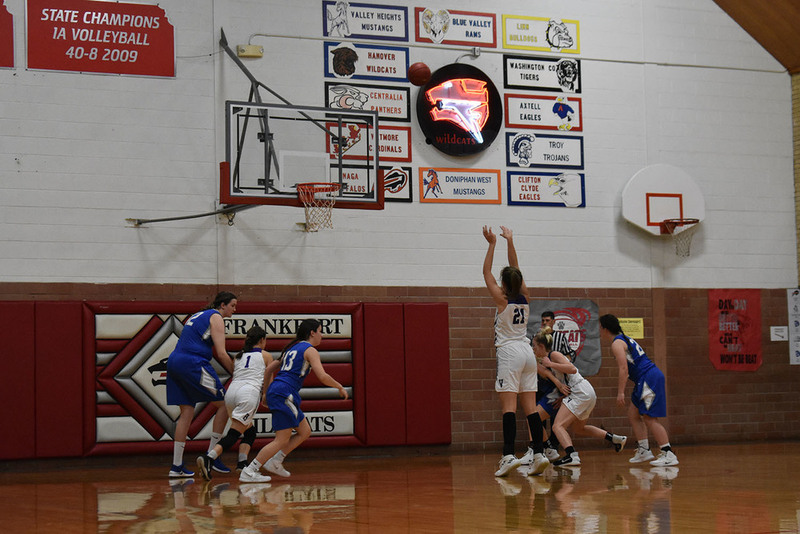 After the postponement of the Solomon game on Tuesday, January 22nd, the next time the Mustangs step on the hardwood will be against the Wetmore Cardinals on Friday, January 25th. Next week, they’ll have three games, Monday in Troy, Hanover at home on Tuesday, and Friday in Axtell.